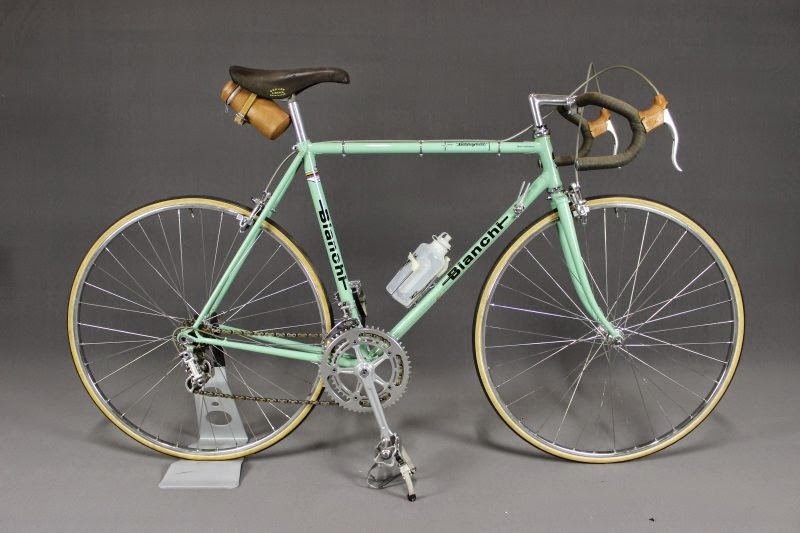 Here is another late 1970's classic - the Bianchi Specialissima. 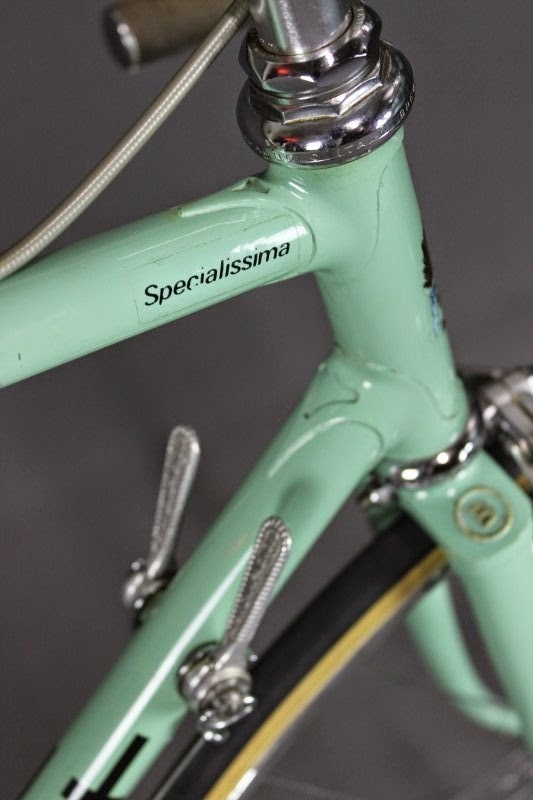 The Italian made Specialissima was the top of the line model for Bianchi during the 1970's and early 1980's. 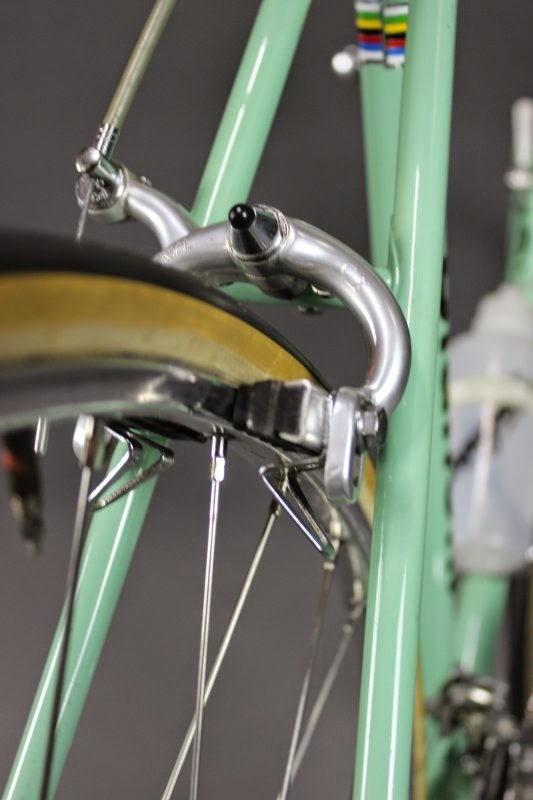 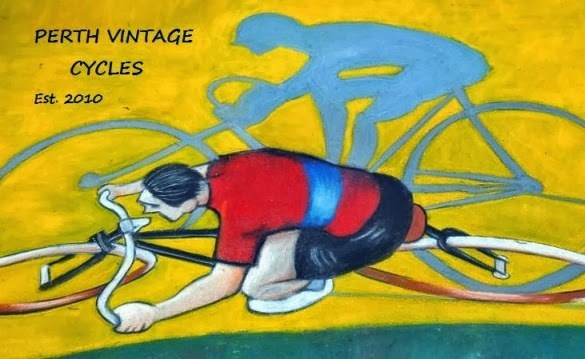 The steel frame was, at the time, one of the the most advanced racing frames on the market and was the preferred bicycle for many European champions. 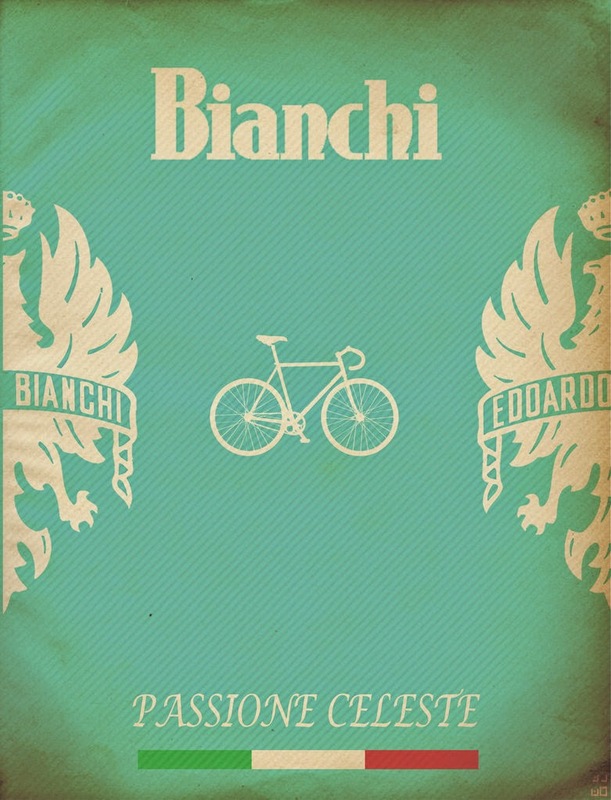 The brand is historically associated with Giro D'Italia and Tour De France Winners Fausto Coppi, Marco Pantani, and Felice Gimondi. 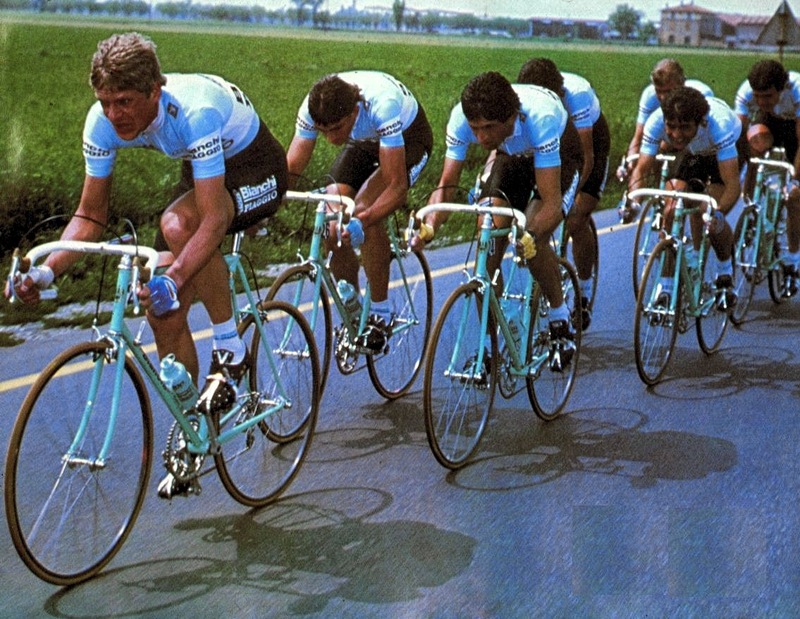 The story of Marco Pantani is intriguing and well worth exploring if you are interested in Italian cycling history. 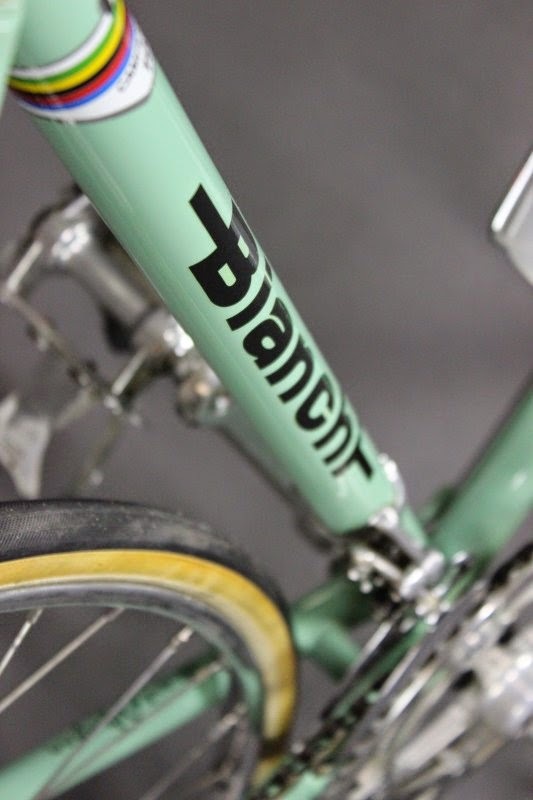 The Bianchi brand of course is held close to the heart of many cycling traditionalists and is usually fitted out with Italian components and Campagnolo gearing systems. 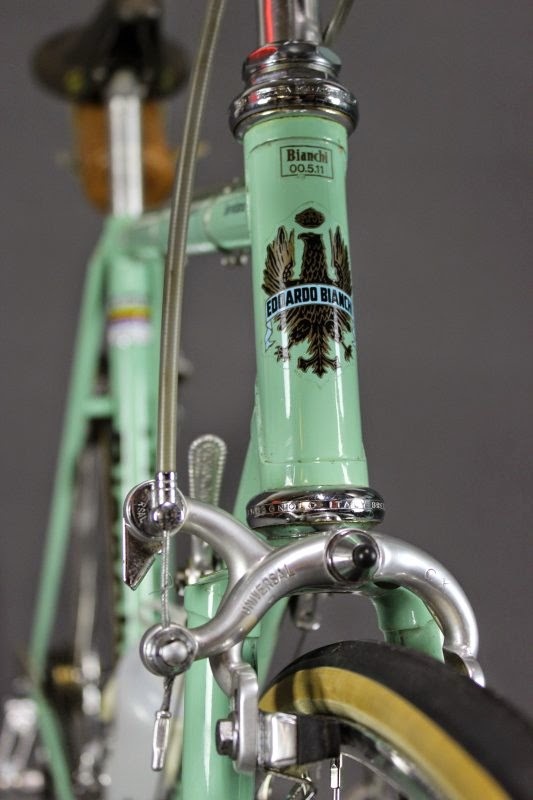 This bike is painted with the traditional Bianchi 'celeste' colour which has interesting origins. 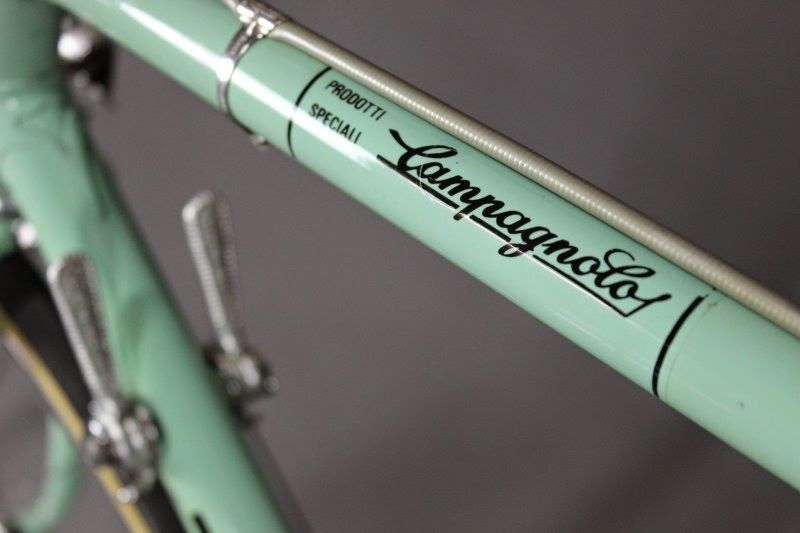 Some say it is the colour of a blue Milan sky, others claim it to be the eye colour of a beautiful Italian queen, and others claim the colour to be a mixture of old military paint left over from the war. 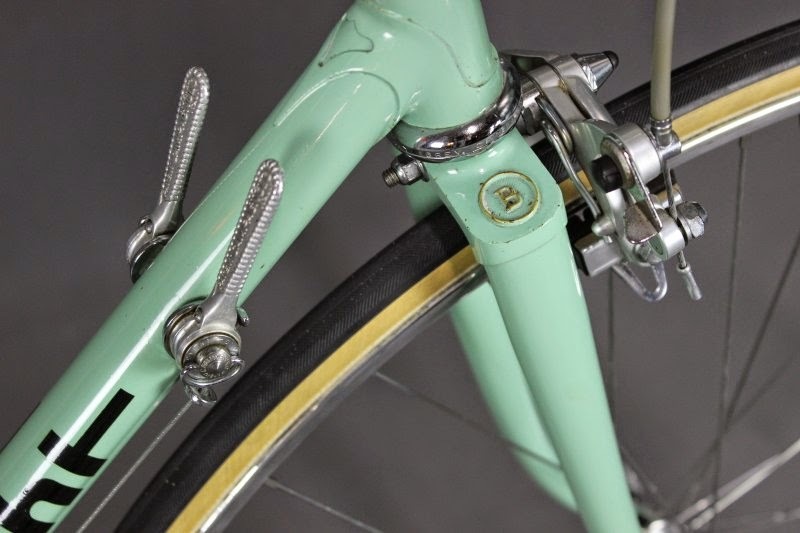 Whatever the origins of the colour, here is a beautifully kept example of a Specialissima that is fitted with a Campagnolo Nuovo Record groupset from 1975. 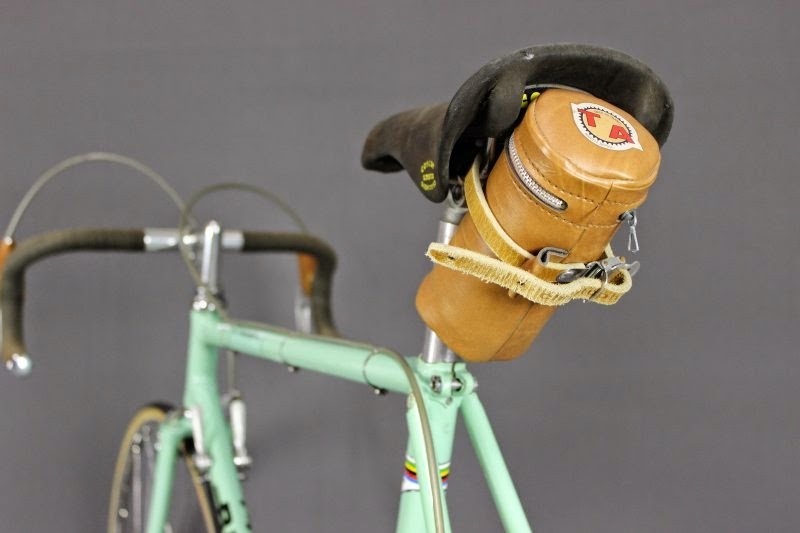 ....just a small glimpse of some fantastic Italian cycling history. 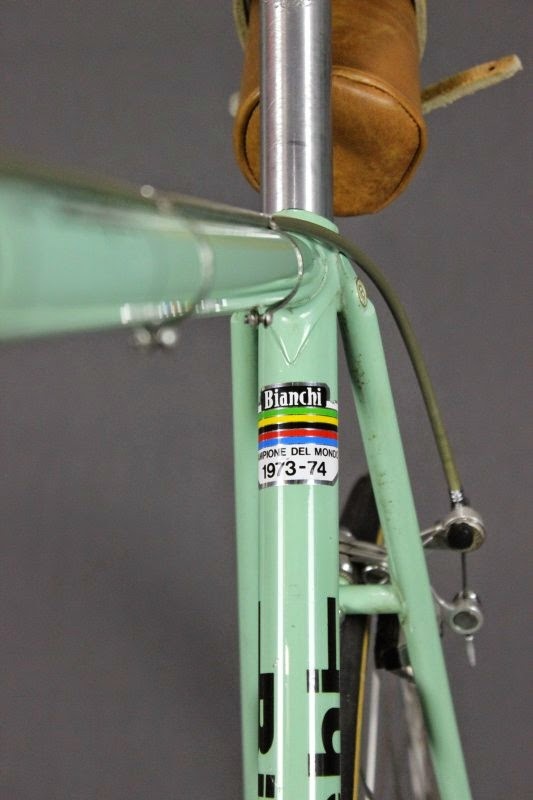 Now that’s a bike that must have been painstakingly and lovingly restored after taking it out for storage. 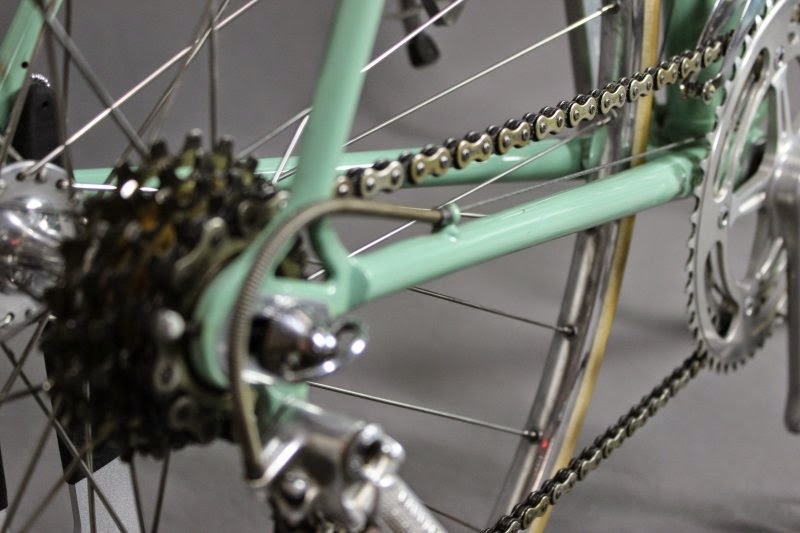 It might not be competition standard, but I bet it still works great on the road!